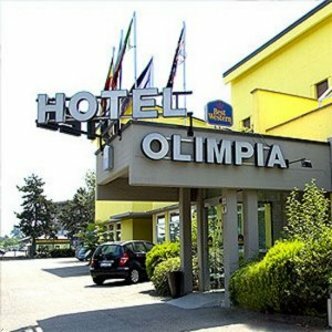 Within walking distance from the 'Enzo e Dino Ferrari' race track, whose atmosphere transpires from the style of the public areas, the Best Western Hotel Olimpia is located in a strategic position between Bologna and the Adriatic Sea. All the rooms are air-conditioned and soundproof. We are an ideal seat for conventions. In the restaurant 'L'Artusi' you can taste traditional local and national dishes.